My name is John Luck (Ferret) and I live in Byron Bay, New South Wales, Australia. I was born in Sydney, New South Wales, in 1950. My family and I moved to Byron Bay around 30 years ago and am now aged 62. Other than the violin I like camping, campfires, and fishing. Pierre asked why I decided to learn to play the fiddle. Without trying to make things overly dramatic, after being diagnosed with cancer two years ago, and having always wanted to do something musical, I decided that it was about time to try to to play an instrument. Why the violin / fiddle? Well, since starting I've asked myself that question many a time. One of reasons is because I felt that it would be a challenge. Did I ever get that one right. Hit the STREETS Ferret> !!!!!!!!!! > You ROCK!!! > I always watch your vids. They have helped me to keep on keeping on. Thank you for that. >> ROCK on Ferret > we are of the same age. Its nice to have others out there that are just trying to interface with ones musical spirit. > SWEET!!!!!!!! Ferret, I really enjoyed reading your interview, and always enjoy your videos! Nice interview, John. It's been awhile since there's been one, was beginning to think FM forgot about them. Street playing ?,,, you have more gut's than I, young fella. John, thank you for letting us into your life. By the way I love the hat. You"ve got to us it while busking. I'm impressed with your collection of violin! I see you have an Erhu, too, do you play? Did you get it from China during your trip to China? Yes thank you for the interview John. I thoroughly enjoyed it. Nice to meet You, Ferret! Cool site you have Love the photos.. and canoe.... and your helicopter - always wanted to get one XD! Thanks for the interview - very interesting! =) Awesome last name, btw! Nice interview, John! Great to get to know you better. I especially liked seeing your instrument collection. driving around the country in an RV and fiddling for your supper. Now theres a goal I can relate too !! Love the fiddle collection. 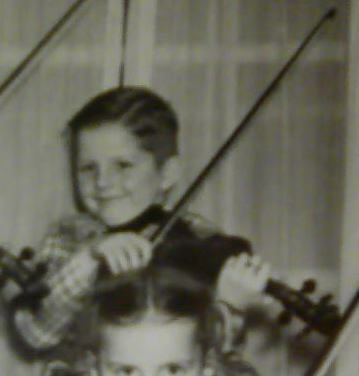 My Viola is a big fiddle too, though it just dosent do what a real fiddle can. 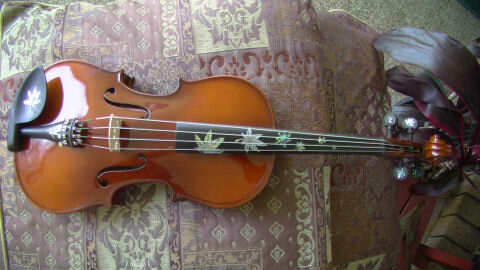 I like my Viola for Christmas tunes , waltzes and slow airs. But if its time to cut loose, the violin just cant be beat. Thanks for taking time to let us know you better !! Top notch interview. I loved to know more about you. Adore your violin collection and having your here in the forum as a fiddle friend. Thanks John.